Continental East Development, Inc. recently partnered with Capitol Leverage to support Murrieta Mayor Jonathan Ingram. 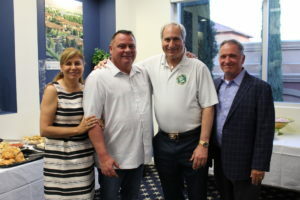 CED hosted a fundraiser in support of Jonathan Ingram’s re-election campaign to Murrieta City Council. The event took place at CED’s offices on Thursday, September 13 from 6 – 8 p.m.
Members of the community, friends and family of Mayor Jonathan Ingram showed up in support. Ingram shared on the progress of Murrieta during his time as mayor, and his ideas for the future. Ingram also extended his gratitude to Al Rattan, President of Continental Development. He also commended Al on the work Renaissance Village Murrieta is doing for the local senior community. California State Senator, Jeff Stone was also in attendance. He also gave an update on what’s going on in the state of California. We look forward to seeing Mayor Jonathan Ingram’s efforts as he runs for re-election.